Lou Dematteis covers issues of social, political and environmental importance around the globe. 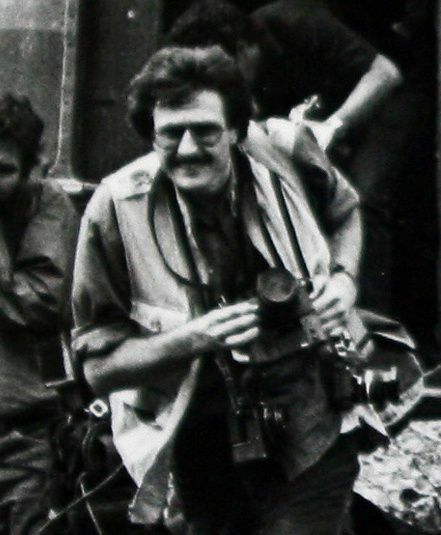 A former staff photographer with Reuters News Pictures, Dematteis was based in Managua, Nicaragua, during the height of the U.S.-backed Contra war. His photos from Nicaragua, including his photo of downed U.S. soldier-of-fortune Eugene Hasenfus, received international recognition, and in 1991, he published "Nicaragua: A Decade of Revolution", a photo anthology of the Sandinista years in Nicaragua. In the 1990’s, Dematteis spent several years traveling to and documenting contemporary Vietnam, during a time when that country was opening up to the world after a long period of isolation following the end of the Vietnam War. Forging bonds with local photographers, in 1992 he directed and participated in the first exhibit by U.S. photographers in Vietnam since the end of the war in 1975, and in 1994 he presented the first exhibit of Vietnamese photographers to be shown in the U.S. as well. His book “A Portrait of Viet Nam” is a look at contemporary Vietnam and was published by W.W. Norton in 1996. Since 1993, Dematteis has documented the damaging effects of Texaco’s (now Chevron) oil exploitation and environmental pollution in the Ecuadoran Amazon. Focusing on the heath impacts on the people of the region as a result of the contamination and the uplifting story of efforts by local communities to seek justice and to prevent further drilling, this work can be seen in his latest book “Crude Reflections: Oil, Ruin and Resistance in the Amazon Rainforest/Cruda Realidad: Petroleo, Devastacion y Resistencia en la Amazonia” (City Lights Books 2008). An award-winning photographer, he has received a citation from World Press Photo and his photos have been included in the New York Times and National Press Photographers Association Pictures of the Year. His work has been exhibited on four continents and in 2007 he received a grant from the Open Society Institute to exhibit his work from the Ecuadoran Amazon in the communities in Ecuador most affected by the contamination left in the region as a result of Texaco's oil extraction practices. Based in San Francisco, California, he works in documentary film as well as still photography.